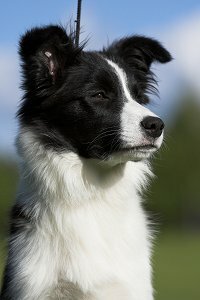 Errol Badior of Nahrof Border Collies. We take this opportunity to thank Sari for the opportunity to own such a lovely girl and also thank whole-heartedly Minna Vayrynen, Sari's parents and all who looked after Hipsu while she was in Finland. We hope that we do Team Pikkupaimenen proud Down Under!!! 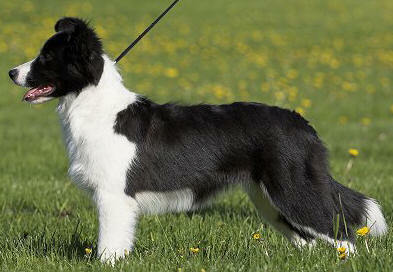 Hipsu was sent over in whelp to the lovely Fin Ch BH Pikkupaimenen Purple Rain "Toto". The combination of the two pedigrees brings together some of my favourite dogs living abroad, and we can never thank Sari enough for organising the mating and sending Hipsu to us. Hipsu is retired from all duties now and is living it up at Brett's sister's home and teaching them all what life is like living with a clever Border Collie!